The purpose of creating a Database Table Relationship is to integrate data from two separate database tables and pull from them at the same time. For your own purposes, you can use your default Decisions database or you can integrate with another database. For more information on integrating a database, see Integrating an External Database with a Flow . This example demonstrates how to display columns from related Tables in the Report Designer	. This is done by creating a Relationship	between Tables to join them. Then, this Relationship can be used in the Report designer to add a related Data Source. Start by creating a Relationship	between Tables	. 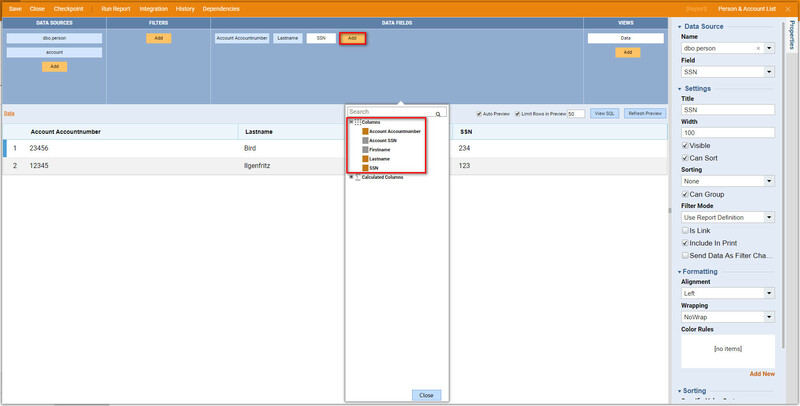 In the designer Folders Navigate to System > Integrations > Databases	folder in the Portal . Next, we navigate to the Database Folder where we need to create Relationship	. From the Folder Actions Panel , select Add Relationship. In the Add Relationship resulting window we Name	our Relationship	. Then, we pick Tables	and Fields	that should be Related . Click Ok	when finished. Our Relationship is being created in our Database Folder. 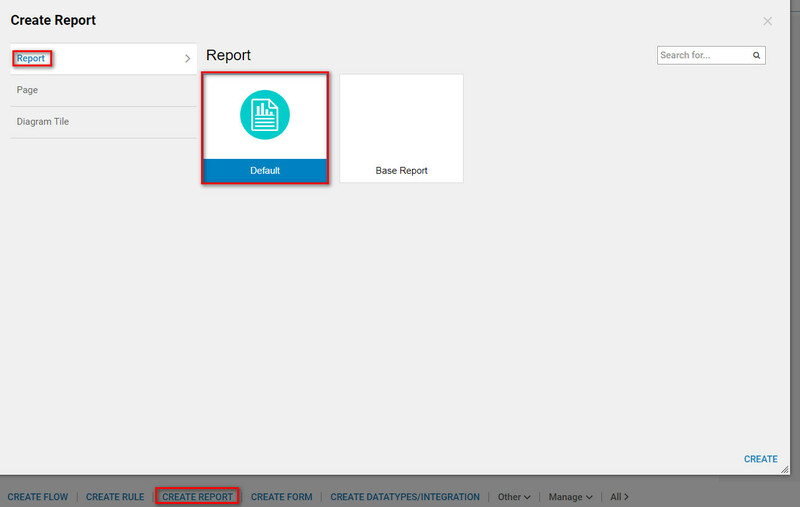 Next, we navigate to the Designer Folder and click Create Page/Report > Create Report	from the Folder Actions Panel. Nest, Name	the***Report***	and select Create	to proceed to the Report Designer. In the Report designer we expand Data Sources > Common > [Folder For Our Database]	and add	one of the Tables from our Relationship	as Data Source. 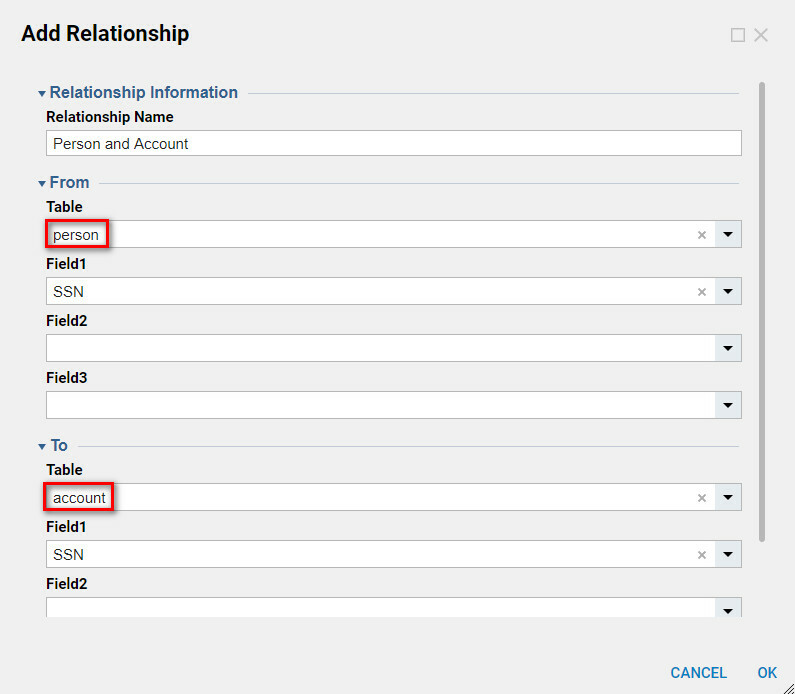 Because a relationship has been created an option will appear called Add related table. 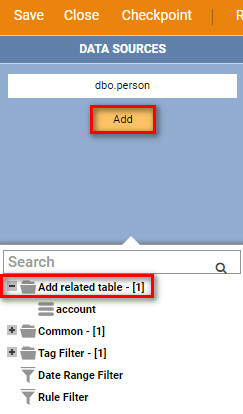 Select Add and then select Add related table and the second table will be added to the report. When both tables from the Relationship have been added, fields from either table can be added as a column to our Report. 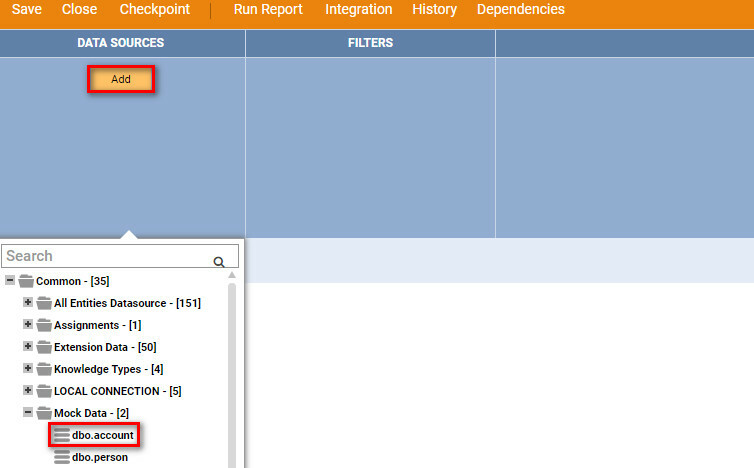 When columns added and Report populated with Data , we can Group	or Filter	data as needed.